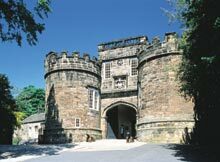 Visitors can explore every corner of this impressive history-rich castle, which withstood a three-year siege during the Civil War. View the Banqueting Hall, the Kitchen, the Bedchamber and Privy. Climb from the depths of the Dungeon to the top storey of the Watch Tower. 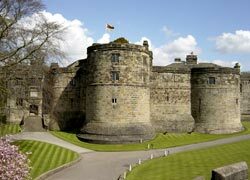 Imagine what life was like when Skipton Castle provided protection and security from invaders. Relax in the picnic area or in the new tea room or visit the shop for more information. Even now more historic finds are being discovered. Recently an ancient well was uncovered, helping to explain how the castle garrison survived the siege of 1643-5. Every visitor to the Castle is given a comprehensive Tour Sheet (available in 10 languages) with 40 drawings and descriptions of interesting features.